Australia has an ageing population. Keeping people out of expensive residential care and more connected to their community as they age remains the most sought after, sensible and cost effective option. However, our national community care system is at risk of failing frail older Australians who require support to age within their home. Urgent action is needed to improve service access and stability. Retain ongoing block funding for the Community Home Support Program beyond June 2020 and reinstate annual growth funding. Discontinue Level 1 Home Care Packages and roll the funding allocation into CHSP. Establish a new funding stream for planning and service coordination to ensure appropriate services are available for diverse community needs. The current focus of our advocacy efforts is to secure funding and partnership commitments from political parties ahead of the federal election. In 2018, the MAV made representations to the Prime Minister, Minister for Senior Australians and Aged Care, Opposition Leader and the Australian Greens. We worked with the Australian Local Government Association to ensure community aged care was one of the priority issues included in their federal election advocacy campaign, and their 2019 federal budget submission. We have briefed the Victorian Government and sought their support for our federal advocacy position, and we are working with Victorian councils on coordinated advocacy activities. The MAV has provided testimony before the Royal Commission into Aged Care and Quality in March 2019. The MAV and Victorian councils are concerned about the long-term funding and potential service system failures in community aged care due to Commonwealth Government reforms. Commonwealth funding is currently only committed until 30 June 2020. 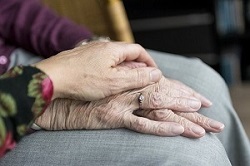 The Commonwealth government funds aged care services, including delivery of Home Care Packages (approximately 24,000 in Victoria) and residential care (approximately 63,000 in Victoria). 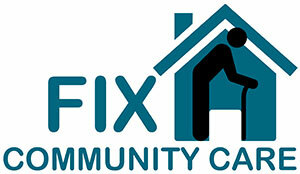 However, the vast majority of people needing assistance require community care services and support in their home. Commonwealth Home Support Program (CHSP) services are being delivered by 72 Victorian councils to approximately 200,000 people. Demand for this service is growing as our population ages. Public providers - such as councils - remain an important part of the home care service mix and will continue to care for our ageing community members for many years to come. For more than 70 years, Victorian local government has been involved in the planning and delivery of community care services and programs. These services are co-funded by councils, with Victorian local government voluntarily contributing between $150 million and $200 million annually.